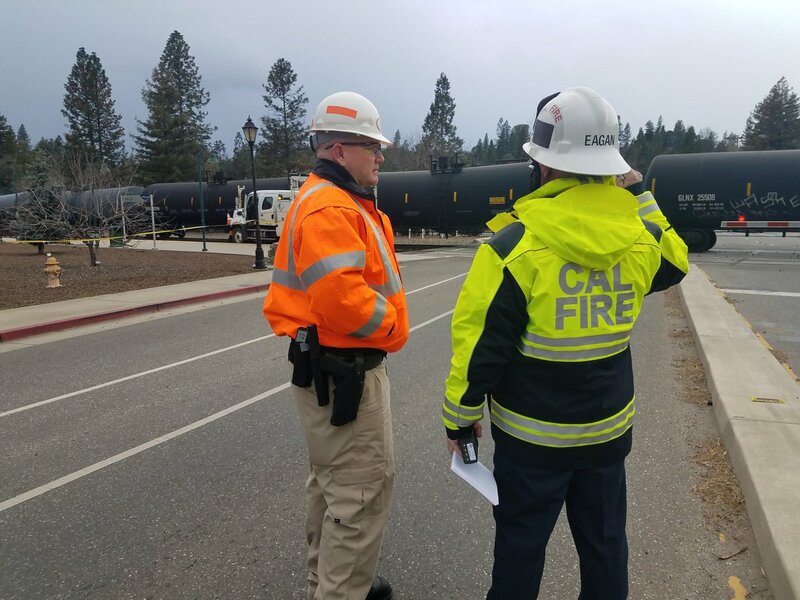 Placer County | Reports of a 113-car train that had derailed with three cars still upright in Colfax, prompted a large deployment of fire (and public safety) resources from CAL FIRE’s Nevada – Yuba – Placer Unit on Thursday, February 22, 2018 around 1347 hours PST. 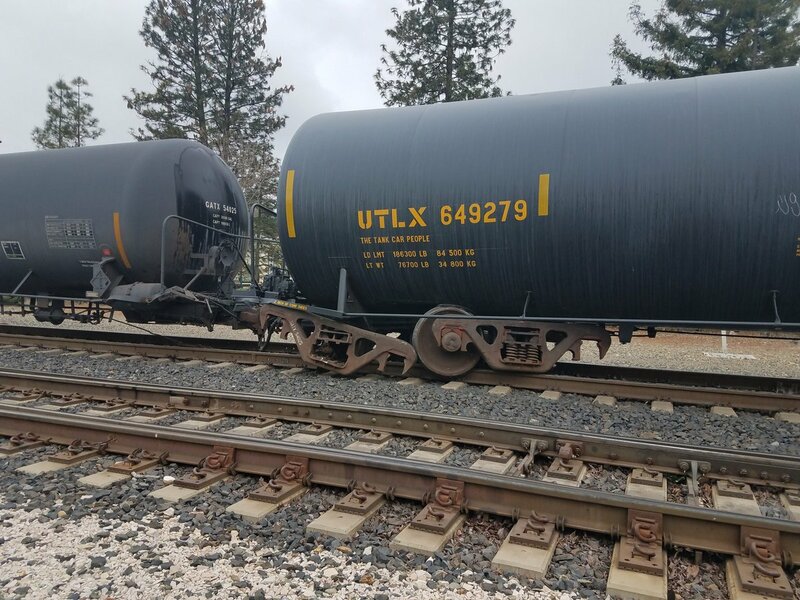 Initially, the three-rail cars that had derailed were said to be carrying non-hazardous materials and had not leaked all. After their investigation, it was later determined the involved cars were actually empty. There was no threat to the public. 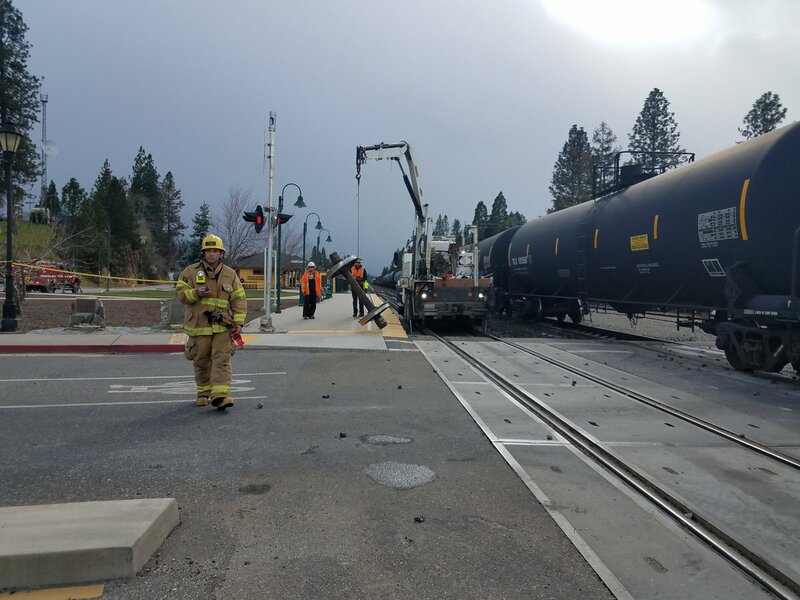 The train briefly blocked East Grass Valley Road, as well as other nearby intersections but were reopened again. The railway was said to be reopening again in about eight-to-twelve hours. Resources | CAL FIRE and law enforcement agencies. Injuries | There were no civilian and no Public Safety injuries reported. Damage Assessment | No damage to the Colfax infrastructure was reported. 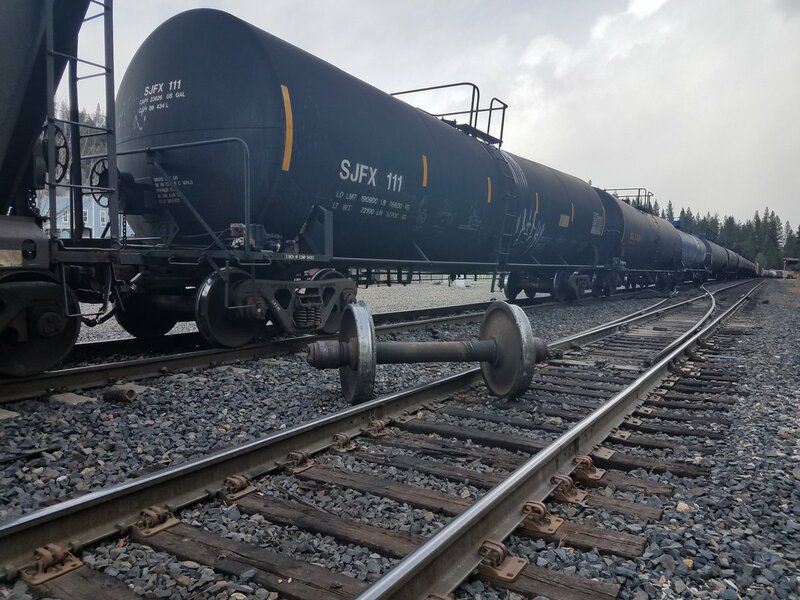 Cause | The cause of the derailment is unknown at this time. Photo Credits | CAL FIRE Nevada – Yuba – Placer Unit. Social Media | We are using #ColfaxDerailment #RailroadIncident for this incident.